Do you currently have an event or celebration coming up in your life that requires a variety of things in order for it to go off without any sort of problems? Even tiny little details like martini picks can be the kind of thing that can really make or break the success of an event, so it so incredibly important to make sure that you have absolutely everything covered when it comes to this sort of thing, because not having seemingly trivial little items can actually make a huge difference as to the way that the event actually plays out. A lot of people these days realize that there are advantages to using certain materials when it comes to clean up, so it makes sense that people are trying to think of creative and innovative ways to have disposable items made from sustainable materials. One example of this sort of a thing are bamboo bowls which can be really beautiful while also being environmentally friendly. These are a really great option if you are concerned about the environmental impact that all of the different, individual sized bowls that you will be using. And it is really great if you are thinking about those sorts of things at all, since so many people in the world do not even think about hings in that way. 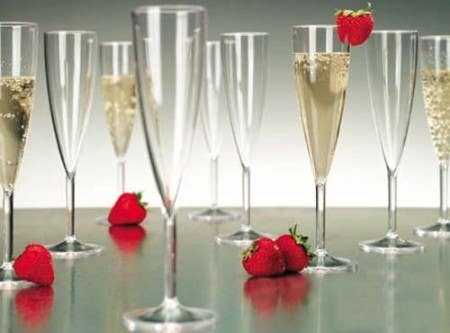 Another option that is good for a lot of people is to substitute glassware for alternatives, like plastic champagne flutes . This is a really great choice for a lot of people, depending on the event that they are hosting. When you are worried about concerns like breakable glassware at an event and the possible problems that may come when you use those materials, then choosing non-breakable alternative for your event. So make sure that when you are taking all of this time out of your life and making all of the effort that is going to be a worthwhile endeavor. You do not want to spend all of your time doing this only to discover that you are missing a crucial part of the equation, so do yourself the biggest favor you possibly can and be as prepared as you can possibly be. Never before has it been as easy as it is today to learn all sorts of things and find just about any object or material you want with the help of the Internet, so make sure and take advantage of it today!